While we have lots of information on Bowen Island events, activities, shopping etc. 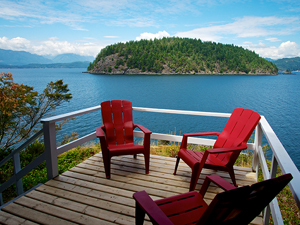 here on our site, sometimes it's nice to have someone else plan your day, especially if you're new to Bowen Island. Look below to our suggested itineraries, created for all sorts of interests, as well as times of day. Check individual websites for store hours, which can change seasonally. Early Arrival Itineraries. We highly encourage our guests to make full use of their vacation time, and arrive early to enjoy Bowen Island on their first day. Check-in to your accommodation is at 3pm, and we ask that you please don't arrive earlier than that, as our cleaners need the time to make the house look its best for you. However, to help you enjoy your time before check-in, we've started our list with several "Early-Arrival Itineraries." Take a morning ferry over and get to know Bowen! This is a great itinerary for walkers arriving early to Bowen. 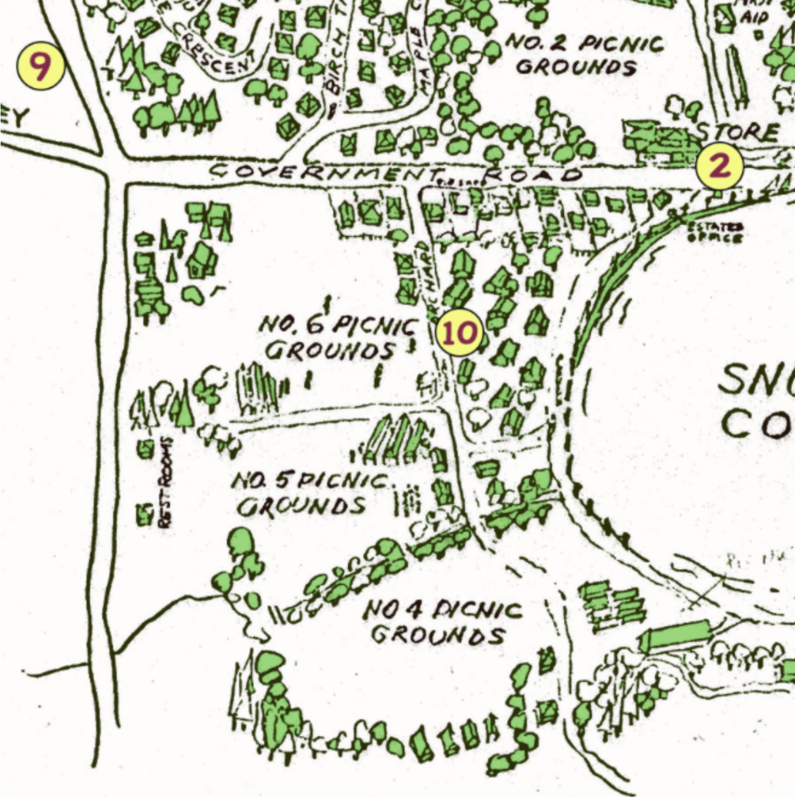 If you have a car, park it in the Cove at one of the extended parking areas you'll see in the map here. You can also easily drive to all of these destinations as well. Return via the "Bowfest Field," crossing to the baseball field, and up Davies Lane to Village Square. Grab a cold beverage at the Ruddy Potato or the General Store. If you're arriving early in the morning by car and want a wider sense of Bowen beyond Snug Cove, here are a few lovely spots to drive to before you check in. Base the rest of your vacation on what you see in snippets here. Drive up to Artisan Square for a coffee and authentic french pastry or a meal at Artisan Eats. Explore the shops and galleries. Drive down to Killarny Lake. Park here and have a quick look out at the serene lakeside, or take an hour to walk the loop around the lake. From here, drive further down Mount Gardner Road to see Opa (one of the oldest trees on Bowen Island) and the Labyrinth, both at Xenia Retreat Centre. (Please respect the retreat centre's privacy, and do not explore further than these two features). Return towards Snug Cove down Mount Gardner Road, but take a right on Bowen Island Trunk Road at the school, and explore the West Side. Bowen Bay, Tunstall Bay, and Cape Roger Curtis all have lovely views. On your way (or on your return), stop at Alderwood Farms' specialty food shop and butcher for meats, seafood, eggs, packaged goods, desserts, and gifts. Return to Snug Cove for a meal or shopping. Try the Ruddy Potato, The Village Baker/Soup Fairy, or the General Store for dinner ingredients, as well as Bowen Island Beer and Wine Cellar. While you're in the Cove, stop by the Visitor's Centre on Cardena Road to grab maps and have any questions answered (open seasonally). Time for one more stop? Drive to the Robinson Road entrance to Dorman Point, where a short uphill hike will grant you a lovely view of West Vancouver and UBC. 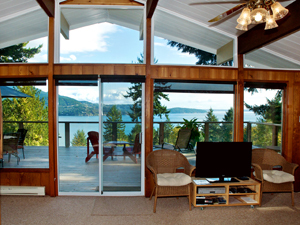 After all that exploring, head to your vacation home at 3pm to enjoy your first evening on Bowen Island. The west side has a few interesting spots to explore that many who stick to Snug Cove will miss. Check seasonal business hours before setting out, and consider bringing a picnic and beverages if you choose to do some walking or hiking. Start your journey heading west on Bowen Island Trunk Road / Grafton Road. On your drive out, stop at Alderwood Farms to peruse their specialty shop and butcher. Make a mental note to return before closing on your way back if you'd like to pick up dinner items, or just browse or pick up snacks (crackers and specialty cheeses, for example) for your day out. If you haven't had your morning cup of coffee yet, turn left on Sunset Drive and find Ruddy Potato Kitchen Garden Cafe on your left. Their covered outdoor seating area is a nice place to wake yourself up and have a quick bite. Check their hours beforehand. Another dining option is the Cup Cutter restaurant at the Golf Course, but do check the hours first, as they are open seasonally. Head to the golf course for some golf, or walk the trail that runs the perimeter of the course. (please don't walk the trails on the green, we don't want you to get a ball on the noggin). 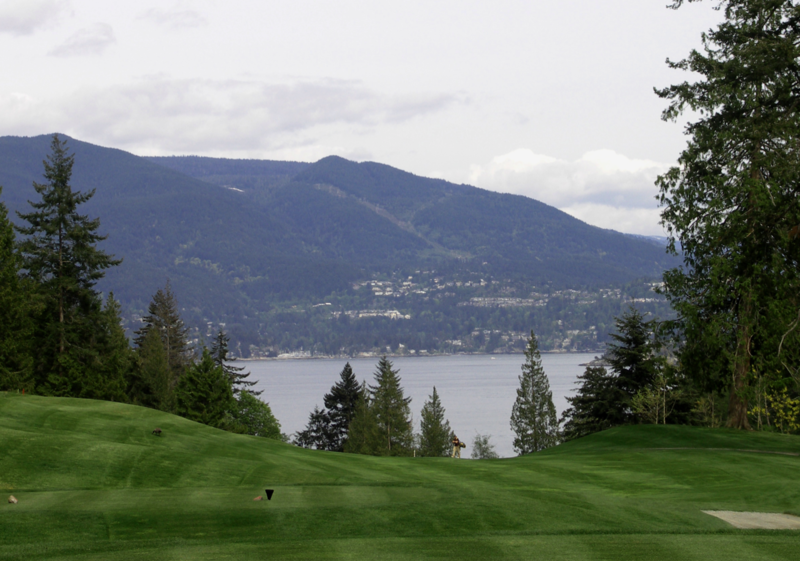 Stroll east down from the golf course parking area to Seymour Bay for a view of West Vancouver. Up for some more walking? 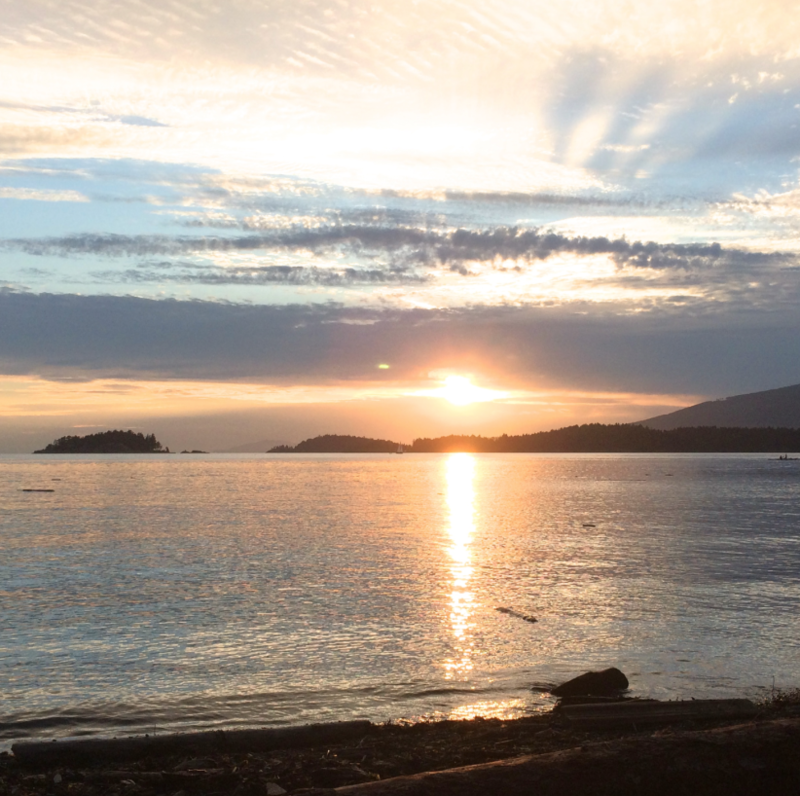 Cape Roger Curtis is an easy walk along arbutus-lined waterfront trails, lovely at sunset. Head back to Snug Cove for dinner or grocery shopping, on your way home. Bowen Island has an artist behind every tree, we swear, so don't miss out on the fabulous and unique home and personal decorations and objets d'art you'll find on this route. This itinerary is easily combined with the Fashion-Lovers' Itinerary below, as it also starts from Artisan Square and makes its way down to Snug Cove. 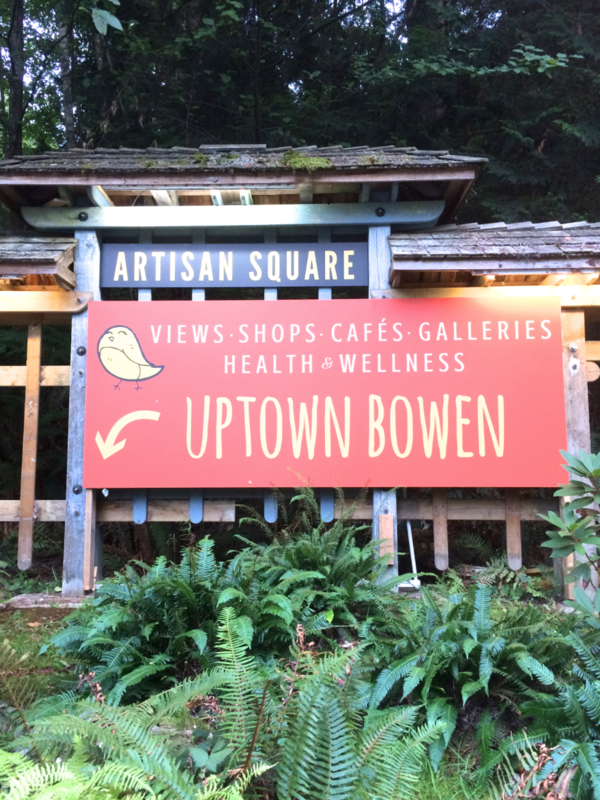 The Gallery @ Artisan Square - Monthly Bowen Island Arts Council exhibits, art opening receptions open to all, talks, classes, and events. Here until January 2017. In 2018, find them at the Cove Commons Gallery in Snug Cove. 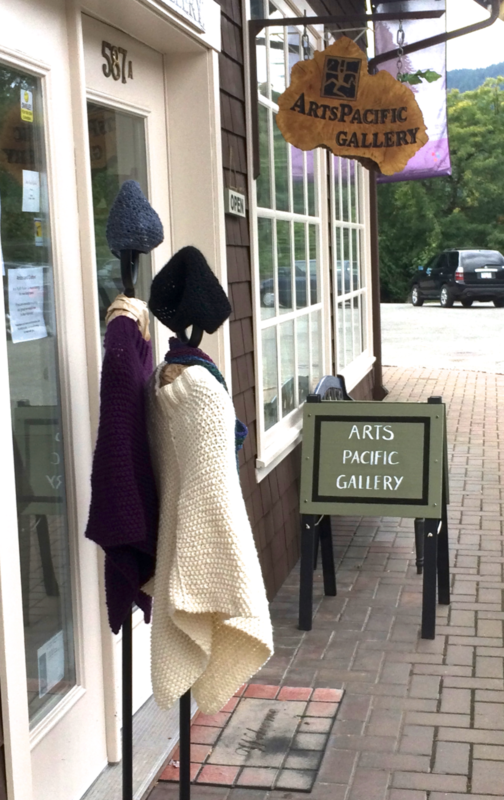 ArtsPacific Gallery- A cooperatively run gallery featuring Bowen Island artists of all disciplines. Juniper Gallery- Vikki Fuller's gallery of her oil paintings, and often features one or two other artists. (Photo featured). Cloudflower Clayworks- Call ahead to ask about seasonal and drop-in lessons or studio use, or just drop by to see the local pottery for sale. Gilt Gallery- Gilded artworks, bowls, sculptures, and more. Cates Pharmacy- Ask to see the racks of art cards by local artists. Village Baker- Often features local artworks on the walls, as well as sells local art prints in the second sitting area. 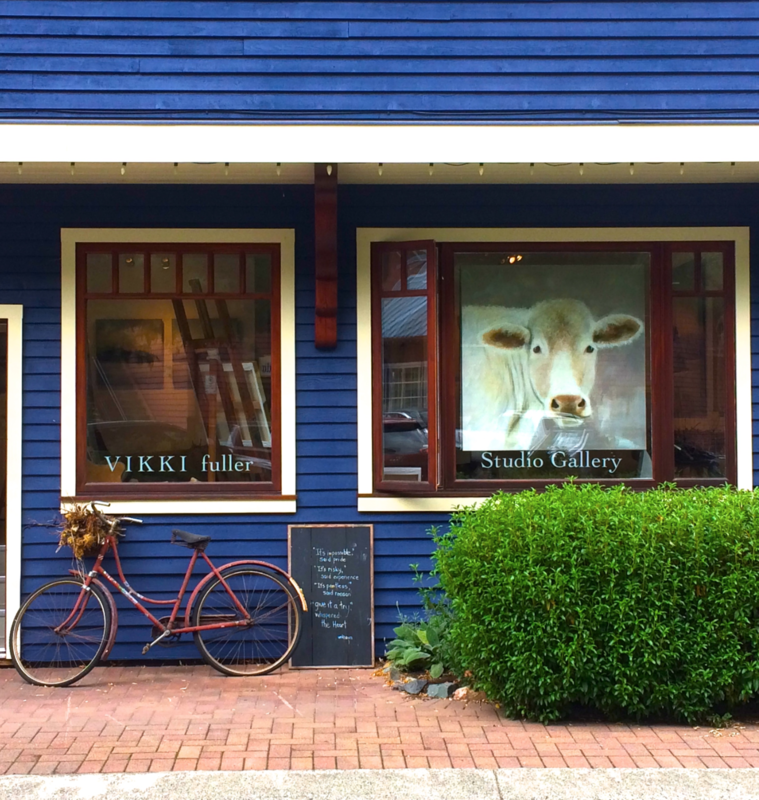 Catching Stars Gallery - A variety of fine artworks, gifts, home decor and more from Bowen Island and local area artists. The Gallery @ Cove Commons (Bowen Island Arts Council)- Bowen Island Arts Council. Monthly exhibits, art opening receptions open to all, talks, classes, and events. Bowen Island Public Library - Head to the "BI" section to find works of fiction, non-fiction, and music for adults and children by Bowen Island authors and musicians. Artworks by locals often hang in the Annie Laurie Wood Annex. Bowen Island has a rich past, most notably for its "Steamship days" of the 1940s, which gave Bowen a party isle reputation. History-lovers will enjoy this circuit that highlights the historic sites and sources of information. There is so much history here, once at the Heritage Cottages or the Museum & Archives, they will no doubt lead you down further paths of historic inquiry. Be transported back in time as you travel this route. Bowen Island public Library - The "BI" section has two books on Bowen Island's past, written by Bowen Islanders. The main building itself is a historic site, once the Old General Store, built in 1924, that supplied holiday goers and locals alike. Cenotaph - Cross the road to see the memorial, built in 1939, for the Bowen Island friends and neighbours who fought and died in WWI. This is where Bowen Islanders gather each Remembrance Day. Crippen Park historic cottages - There are two historic cottages open to the public, and many more scattered throughout Davies Orchard in Crippen Park (below the baseball field). Pop in to the interpretive centre cottage (Cottage 20, Davies' Lane) and ask for a tour of the historically-furnished cottage. Email bowenheritage@gmail.com to check for hours in the off season. Crippen Park - Wander the cottages, then cross the road to the north side of the park. 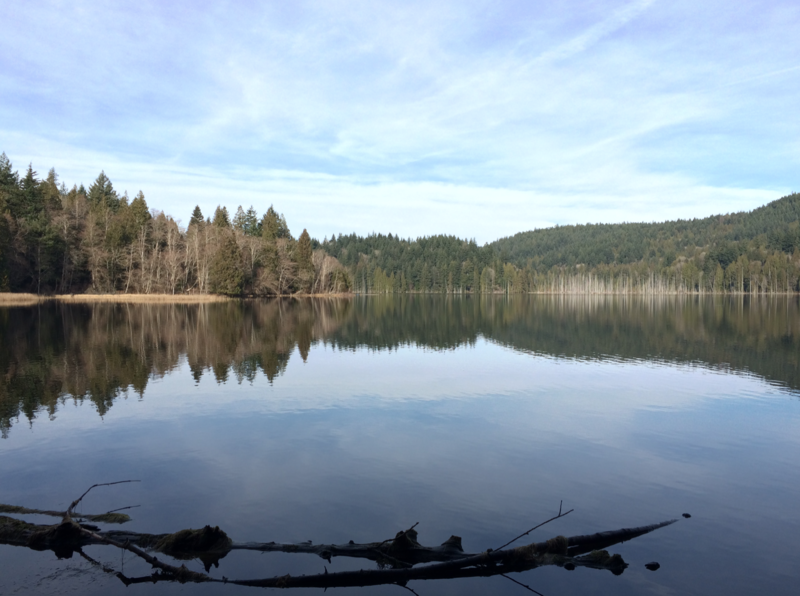 This park, on both sides of Bowen Island Trunk Road, was once populated by hundreds of cabins for summer visitors. Find the remaining seaside cottage near the lagoon and causeway. Walk the trails going west to Miller road, then turn left on Miller, until you see the Museum and Archives building near the intersection at Bowen Island Trunk Road. Museum and Archives - Enjoy the current exhibit and chat with the knowledgeable curator and staff about your particular historic interest in Bowen Island. With rich displays and photos, and themed exhibits, this stop gives great context for your own visit to the "Happy Isle." Do you love clothing and the art of fashion? Bowen Island has some unique offerings you won't find elsewhere. Start your fashion-seeking day at Artisan Square and make your way down to Snug Cove. This order makes sense whether on foot or by car. Bowen is a green jewel in Howe Sound, just being here is to be in nature, so perhaps an itinerary seems redundant. However, we've listed a route here that includes some ecological features and educations sites you might be interested in if natural history is your thing. Start in Crippen Park, in Snug Cove, by the Causeway. Find a large interpretive sign by the lagoon/Causeway, describing natural features. Walk the Causeway and peer over the sides. Often ducks, swans, and geese hang around, and around November you'll see salmon making their way up the fish ladder to the lagoon. Return to the Crippen Park entrance by the seaside heritage cottage, and walk the shaded trails west to Bridal Veil Falls and the fish ladder. Walk down the stairs here for a closer look at what wildlife you might find around the waterway. Return the way you came but take a left to stroll the Meadows (click for history of the Meadows), one of Bowen's most peaceful places. Walk through the Meadows, north to the bridge at the flooded alder forest, where you'll see evidence of beaver damming. 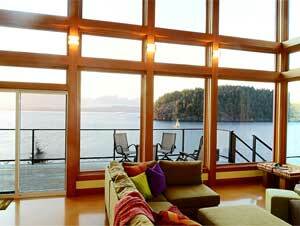 From here, walk west to Killarney Lake, and enjoy the 1-hour walk around it, or head east back to Snug Cove. If you're with a car, drive down Mount Gardner Road to see Opa, one of the oldest trees on Bowen Island, and while you're there, have a meditative walk around the Labyrinth. Both are located at Xenia Retreat Centre. (Please respect the retreat centre's privacy, and do not explore further than these two features). Drive to Cape Roger Curtis to wander the salad and arbutus tree-lined path along this coastal scene, with views out to Vancouver Island and the Sunshine Coast, perfect for sunsets. Keep yours eyes peeled for otters and harbour seals in the waters along the shore.